Bootstrap is a popular framework by twitter. It help developer to create responsive websites. 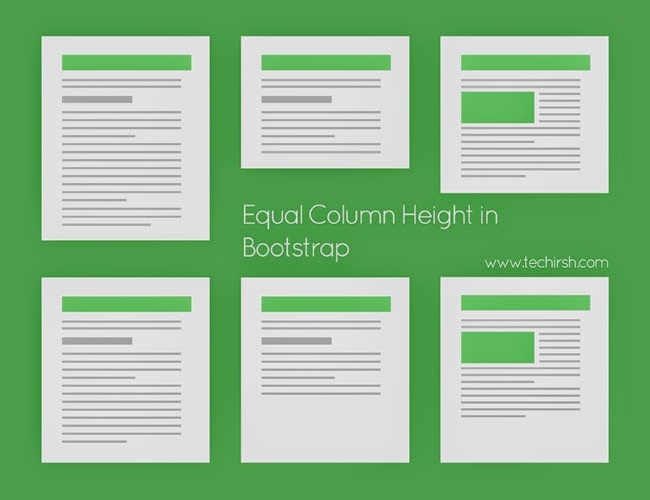 While creating columns in bootstrap we sometimes want to make the height of the columns look same, thought the content is less in one of the column. Consider a blog where the developer wants to fit the height of the sidebar to same as of the main content areas. While surfing, i came accross various methods to fix it and i found this helpful and easy to use. Adding the below CSS code to the style will equal the height of the columns.